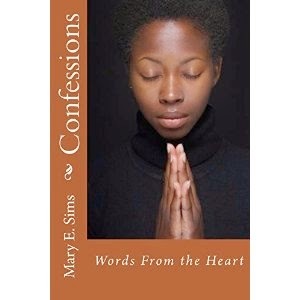 "Confessions: Words from the Heart," by Mary E. Sims, contains the stories of two friends sharing about difficult, dark times in their life. The trials they faced seemed nearly impossible to overcome, including addiction, yet they were determined to move forward. If you've experienced addiction, many of the things these friends share is relatable. If you've never experienced addiction, reading about the blunt reality of addiction and what led to it will be an eye-opening experience. Reading Ruby Jewel and Linda's stories is a powerful experience that is very emotional at times, yet these are stories that will grant the reader important insight into the struggles of addiction. If you want to read a powerful book that will impact your life, "Confessions" is a must-read.